Honey bee collecting nectar from a flower in slow motion. 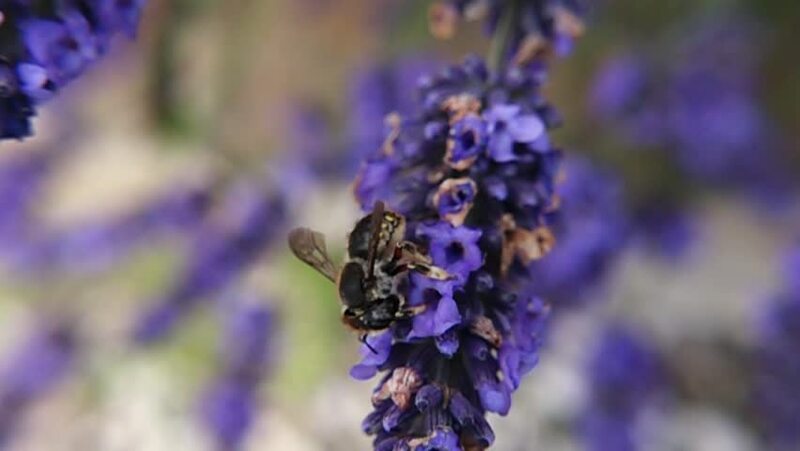 hd00:25Bee pollinating lavender flower, close up. Fly away at the end. 4k00:28Catmint being pollinated by a bee. hd00:12Close up shoot of Lavender buds on black background, sliding from sides. Many people appreciate lavender for its fragrance, used in soaps, shampoos, and sachets for scenting clothes.